When journalists report on a story — providing that they embrace a pseudo-neutral AP style — they are not supposed to get emotionally involved with their subjects. The unreachable goal is to provide readers, listeners or viewers with copies or segments that appear to be objective, impartial and loaded with facts and data. This is of course never the case, because mainstream media journalists always serve a few masters. Therefore, elements of truth are tailored to serve specific agendas. Despite this, when a big story happens, like Katrina’s wrecking of New Orleans, Louisiana (NOLA) in late August 2005, the pseudo-clinical AP neutrality is thrown out the window, and the occasion becomes emotional, especially for the star journalists of the mainstream media. Cold clinical analyses do not sell copy or get high TV rating; emotion and personal stories do. For me, Katrina’s arrival to the Crescent City was always personal. I used to own a place in New Orleans: a beautiful Victorian house uptown. When Katrina arrived and wrecked the town, I was in Canada doing location scouting for a film. Regardless, before the hurricane hit, I managed to keep a constant eye on the coming landfall and focused my effort into moving my tenants out of town and getting a good friend to put plywood on all the windows and doors. I got my people evacuated, and once this was done, I made travel arrangements to New Orleans. Despite the lock down of the town that had been ordered by the governor of Louisiana, I managed to get in, and I arrived on September 4, 2005. While worldwide audiences were glued to their TV screens watching wall-to-wall coverage, at times honest and accurate and at other times tall tales made up by the likes of Brian Williams, I first made my way through Katrina’s war zone to check on my house and on some friends who had decided to ride the storm. To my surprise, the house was spared any significant damage. My new goal became to document the event as accurately as I could. For more than a week, I drove everywhere: midtown, uptown, the Garden District and, of course, the areas that had taken the biggest blow, such as the Lower 9th Ward and Lakeshore. The surreality of the level of destruction did not even come close to the inept and borderline criminal inaction of local, state and federal governments. 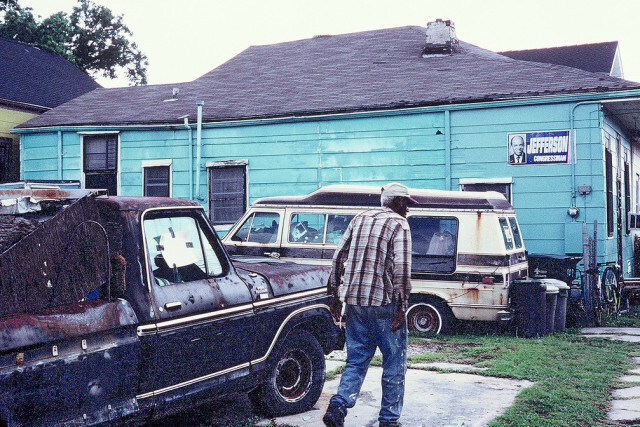 New Orleans’ rich left town two or three days before the hurricane hit, whereas the poor were left behind to fend for themselves. The number-one priority for officials quickly became security: protecting their assets and properties of their rich friends. Along with the mercenaries of Blackwater — the Praetorian Guard of the Bush administration — the Louisiana National Guard was deployed. 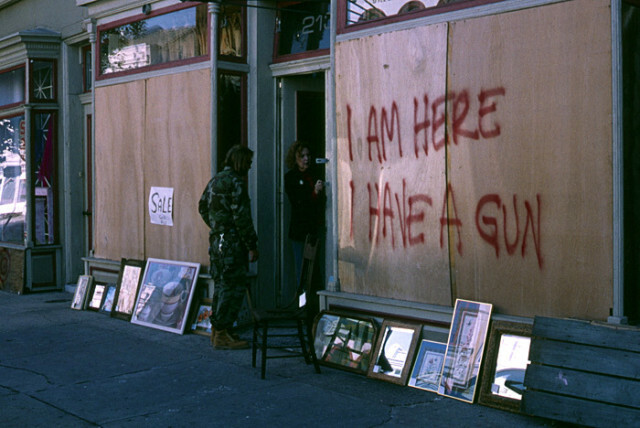 In early September 2005, most people carried guns in New Orleans to protect their properties from looting. 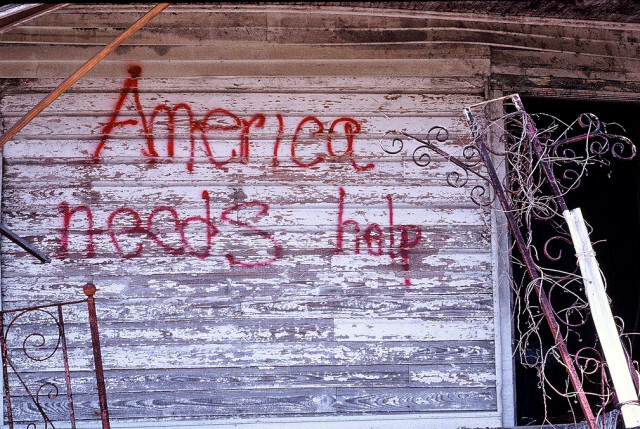 The poor, in majority African-Americans, received very little help and were rightly mad. Most store owners became vigilantes armed to the teeth. 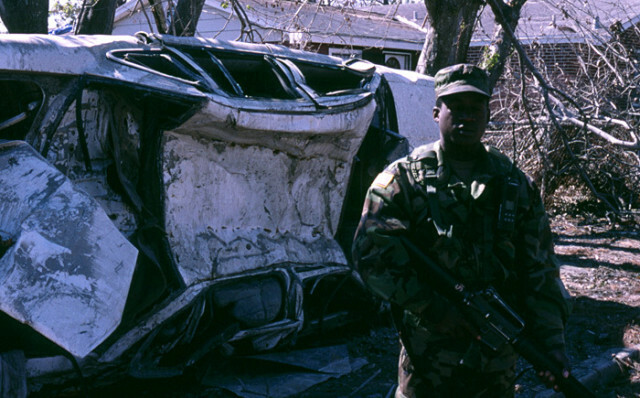 Looting took place, but not at all to the extreme depicted by the mainstream media to drum up fear and paranoia. 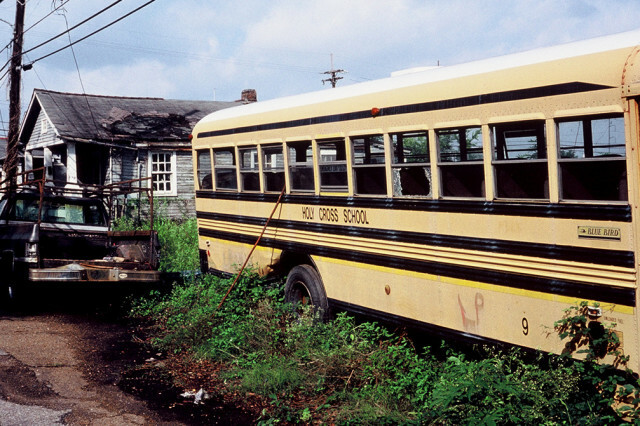 For about 10 days, New Orleans post-Katrina was a story of complete government failure at all levels. The world realized that, right under a veneer of power projected by the empire, there was a hidden third-world country with deep racial divisions and astonishing inequality. 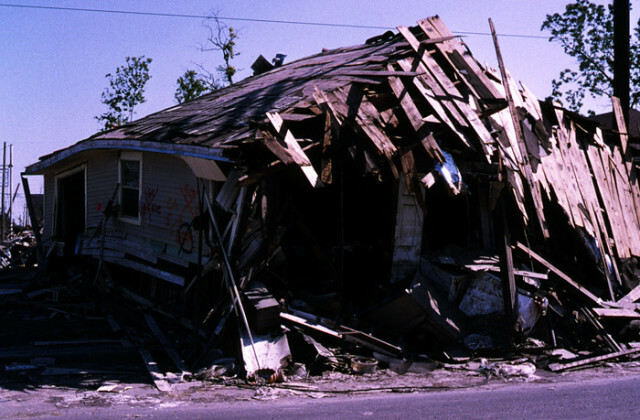 More than 1,600 people died in the aftermath of Katrina, and almost all of them were poor and black. 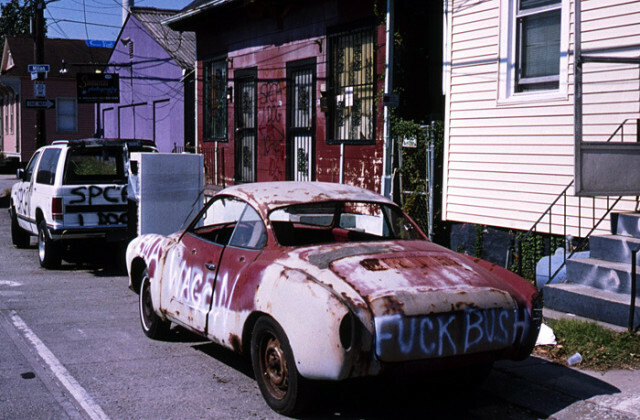 Up until 2008, I came back every year, not only to take care of my house, but also mainly to compile what has become my photographic story: the progress report of NOLA post Katrina. In three years, beside some punctual initiatives from non-governmental organizations (NGOs) and celebrity-driven efforts that turned out to be largely self promotions, nothing really happened. The brutality of the storm became a slow death by decay. 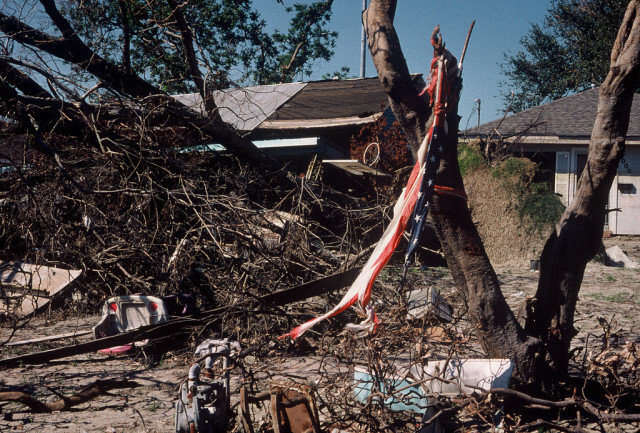 More than 100,000 people left NOLA with nothing and were scattered to the wind. They became the internal refugees of disaster capitalism. 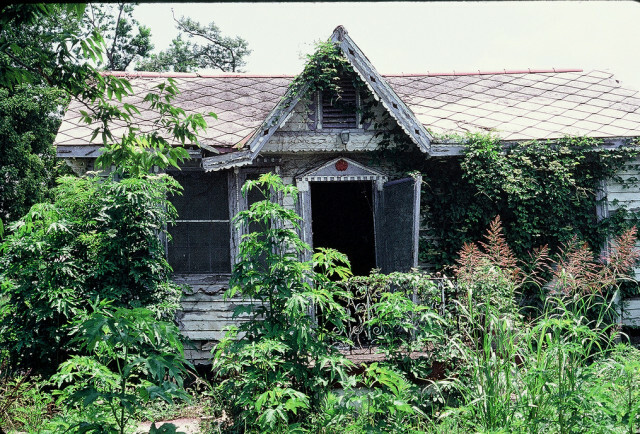 Within a year, the nice parts of town were fixed, while areas like the Lower 9th Ward became no-man’s land urban jungles. The vegetation took over the abandoned structures, creating a surreal landscape of rot and decay. 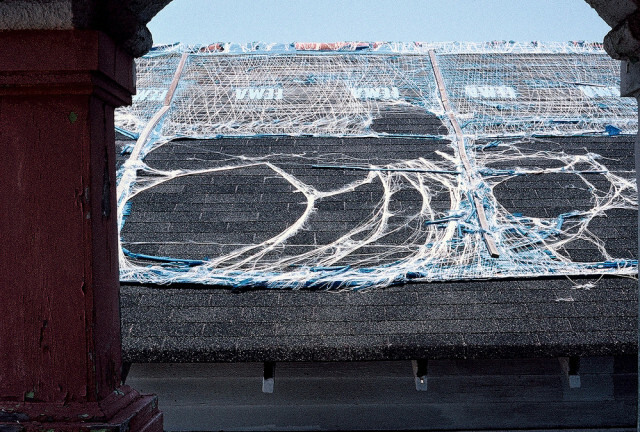 New Orleans is not alone in this disaster capitalism scheme. In 2010, our esteemed colleague Dady Chery started to write about the tragedy of her island, Haiti, after the earthquake. Once upon a time, the business model of this empire was to rebuild after either a man-made or a natural disaster. The Marshall Plan rebuilt Germany after World War II, and a similar program, headed by General McArthur was tailored to Japan. The empire of disaster capitalism came up with a new business plan for the world: after the destruction, nothing really gets rebuilt. Haitians are still waiting for Godot and wondering who stole the money given to them by the international community. Godot has not visited Detroit, Michigan either. Godot will certainly not pay a visit to the ruins of Iraq and Syria, courtesy of disaster capitalism empire of chaos. What will it take for the countless victims of the managers of disaster-for-profit to come out of their lethargy? What will it take for them to emerge from their semi-comatose state engineered by the mainstream media on the payroll of disaster capitalism? Will it be a hurricane bigger than Katrina sweeping through the Gulf of Mexico and destroying the bulk of the oil rigs? Will it take the destruction of another country following the model of Afghanistan, Iraq and Syria? Godot or a providential man will not come. People worldwide must understand that we have already entered a stage of general systemic failure, and that it is time for action, not for change of window dressing. Godot will not come, it is time for people of the Earth to grab their destiny by the scruff of the neck. Time for drastic and concerted action. Editor’s Note: The photographs of New-Orleans post Katrina to illustrate this article were all taken by Gilbert Mercier between September 4, 2005 and early 2008. Mercier used a Contax G1 with Zeiss lenses and Kodachrome film 64 ASA or 200 ASA. November 28, 2012 Will FEMA’s Handling of Sandy Be Obama’s Katrina? The last international predicted this 30 years ago, in black & red loudly printed across Free Press true 5th estate journals of rage and poetic accuracy in Truth defense. Now our media, mass confusion distraction has perfected the Spectacle of Infotainment Programming, Society subjects to Oligarchic whim, all political processes made moot….